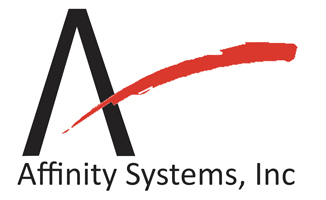 What We Do | Affinity Systems, Inc. Web pages, digital video and audio, ecommerce systems, customer service applications,Â graphical design, and branding. We brand towns, businesses, ideas and concepts. We work with non-profits, to provide a wider visual audience. We assist small businesses, and craftsmen/artists with exposing their products to wider audiences. We build large corporate systems, and manage projects.